Date Created/Published: Chicago, Ill. : WPA Art Project, 1941. 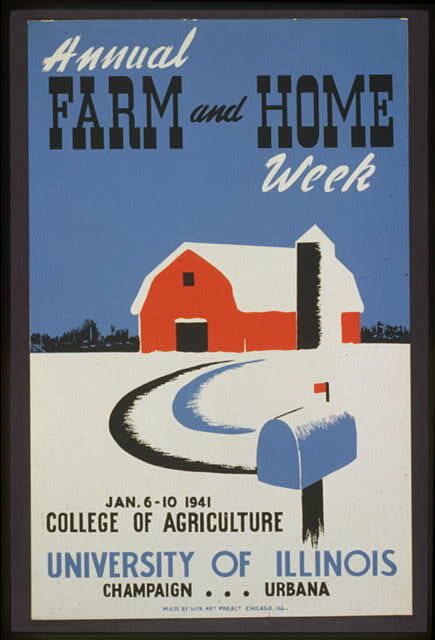 Summary: Poster for the annual farm and home week at the College of Agriculture, University of Illinois, Champaign-Urbana, January 6-10, 1941, showing a snow-covered barn, silo, and mailbox. Date stamped on verso: Jan 8 1941.